WHO CAN STAND: Children: Treasures in Heaven? Although there are surely many correct applications of this verse, there is one in particular that we would like to address here, and this is because we believe this treasure is sadly rejected by many Christians in our culture. 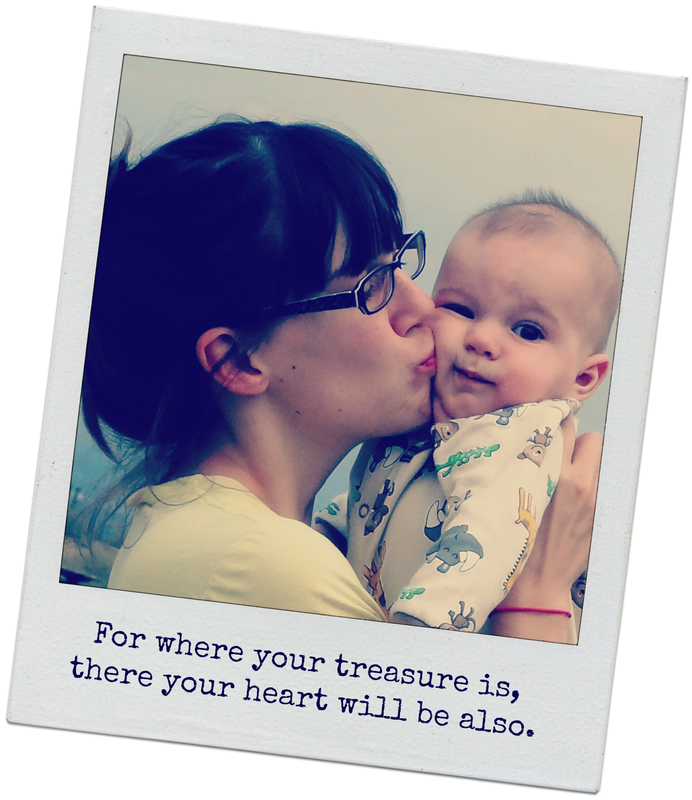 We believe one really tangible way we can "store up treasures in heaven" is to raise up children in the training and admonition of the Lord. We cannot control whether or not they will be saved, but we can pray desperately for their salvation, and for wisdom as we seek to use the Word of God as our guiding light for raising up children who will desire to glorify Him with their whole lives. You choose to buy a house, but "can't afford to have a child." You have a cell phone, satellite TV, and internet, but "can't afford to have a child." You eat out most nights, and often for lunch, but "can't afford to have a child." You spend your money on (input your wants here), but "can't afford to have a child." None of those things you will be able to take with you to Heaven, and none of them you will be able to enjoy when you are there. In fact, this passage tells us that they could be destroyed or stolen, even before your lifetime is done - and they would be gone forever. You will have chosen the fleeting pleasures of this world, instead of investing your time, money and energy into souls that will live throughout eternity. God tells us that "Children are a heritage from the Lord, the fruit of the womb is a reward"! (Psalm 127:3). What a BLESSING to be given children, and even more so, to be able to have an impact on those children for eternity! You can trust in God, for he knows the needs of your family. Just a few verses later, Jesus tells us "Therefore do not be anxious, saying, ‘What shall we eat?’ or ‘What shall we drink?’ or ‘What shall we wear?’... your heavenly Father knows that you need them all." (Matthew 6:31-32). As one family puts it, "God pays for what he orders". Truth! We've never been able to afford children by the world's standards. And now we have 7! The Lord has provided for absolutely every need! Well said, Stephanie! That is SUCH a cute picture! I feel the same way. We have one precious daughter, but we also literally have 3 precious treasures in heaven. I can't wait until someday when I can hold all 4 of my beautiful children! It was your title that attracted me to your blog! What a beautiful testimony of faith your attitude shows! Thanks for sharing such encouraging words, Linda! Love this! Few people consider children a blessing any more. Very well said, Gail. Thank YOU for sharing your heart. These thoughts and spoken words are so true. I hear them everywhere I go. that is one of my favorite verses, and it is telling as to what we value the most! 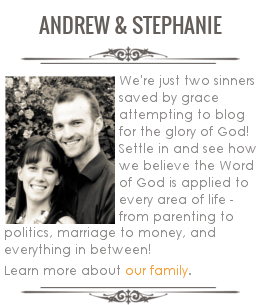 I love your blog, and I am so glad I found you, Stephanie. God's blessings to you and yours! Thanks for your kind words and encouragement, Jacqueline! I had found your blog quite a while ago through Jacinda from Growing Home. Happy to have you! You have a nice blog started here. I'm looking forward to more good reading! My husband and I had two girls and then we decided to try for a boy... we got a boy, with a major heart defect. He had three open heart surgeries in his first two years.... now he is 13 and he is SUCH a blessing in our life. People ask pregnant women "are you hoping for a girl or a boy"... "either" she says, "just as long as the baby is healthy". Yes, we want them to be healthy, but when they're not, they are every bit as much of a blessing (maybe more so). After this we met a large family (when 12 of their 14 were born), and our hearts really changed about our family planning. And when I was looking forward to a large family, we had three losses (16wks, 12wks, 7wks)... and I learned a new meaning for "leaving our family planning up to God". And then the blessings really started coming! We've been given 5 more children, all about 2 years apart (and once 16 months apart). Boy, do I feel like the luckiest mommy in the whole world! It's not always easy; sometimes it's downright difficult. But there is one great big huge blessing I've received from these 8 children.... I have been forced to my knees and God has met me there. I feel His love deeply; I feel Him holding my hand every day. We've conceived during financially difficult times. We've conceived following the birth of a child with a major heart defect and then three losses... when a relative asked "do you think God is trying to tell you something?" Yes, I do believe God was trying to tell me something, and I'm so very glad I was listening.... "trust Me"..."I do, Lord". From every child that has been added to our family, I've learned something more, I've grown more, my relationship with God has been strengthened. The babies are SO cute, the laughter and pitter-patter of littles SO fun, the humour and enthusiasm of young people SO enjoyable.... but the BIG blessing of having children for me is what it's done to my relationship with the Lord. Priceless! That is one CUTE cuddly you've got there! Enjoy every minute... the days are long, but the years are short; they grow up so fast. Our oldest is 19, our youngest 15 months. Keep writing. I love your blog. Why Read Leviticus To Your Children?